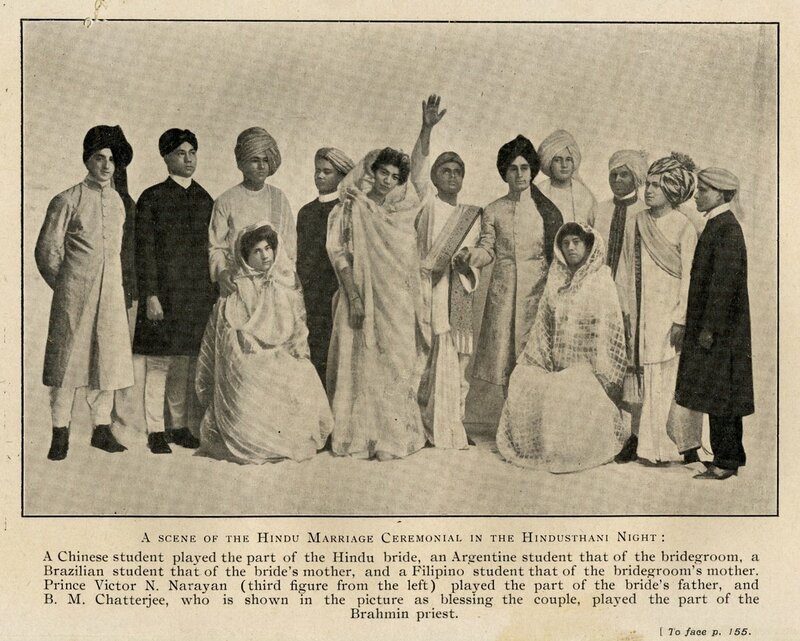 A photograph of a "scene" of a Hindu Marriage Ceremonial during "Hindusthani Night," displaying several students of various nationalities enacting the parts of bride, groom, Brahmin priest, and family. The caption explains, "A Chinese student played the part of the Hindu bride, an Argentine student that of the bridegroom, a Brazilian student that of the bride's mother, and a Filipino student that of the bridegroom's mother. 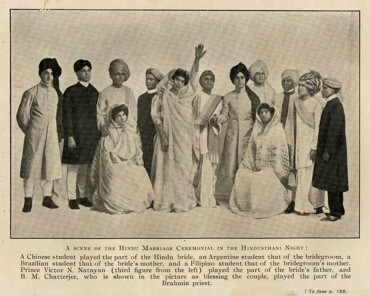 Prince Victor N. Narayan (third figure from the left) played the part of the bride's father, and B.M. Chatterjee, who is shown in the picture as blessing the couple, played the part of the Brahmin priest." Image taken from Indu Bhushan De Majumdar's America Through Hindu Eyes (1918).